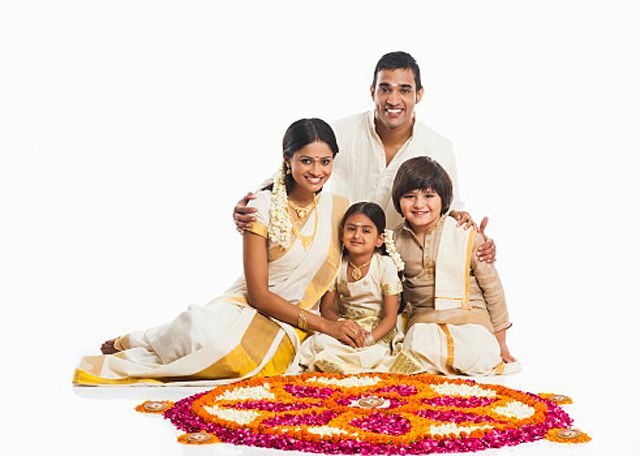 Onam is a traditional Hindu harvest festival celebrated in the Indian state of Kerala and other places where the Malayalam language is spoken. It is celebrated with numerous festivities, such as boat races, tiger dances, and flower arranging. Here is the traditional legend association with the Onam festival. A long long time ago, an Asura (demon) king called Mahabali ruled Kerala. He was a wise, benevolent and judicious ruler and beloved of his subjects. Soon his fame as an able king began to spread far and wide, but when he extended his rule to the heavens and the netherworld, the gods felt challenged and began to fear his growing powers. 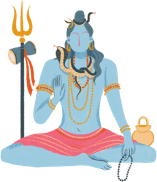 Presuming that he might become over-powerful, Aditi, the mother of Devas pleaded with Lord Vishnu to curtail Mahabali's powers. Vishnu transformed himself into a dwarf named Vamana and approached Mahabali while he was performing a yajna and asked Mahabli for alms. Pleased with the dwarf brahmin's wisdom, Mahabali granted him a wish. The Emperor's preceptor, Sukracharya warned him against making the gift, for he realized that the seeker was no ordinary person. But the Emperor's kingly ego was boosted to think that God had asked him for a favor. So he firmly declared that there is no greater sin than going back on one's promise. Mahabali kept his word and granted Vamana his wish. The Vamana asked for a simple gift—three paces of land—and the king agreed to it. Vamana—who was Vishnu in the guise of one of his ten avatars—then increased his stature and with the first step covered the sky, blotting out the stars, and with the second, straddled the netherworld. Realizing that Vamana's third step would destroy the earth, Mahabali offered his head as a sacrifice to save the world. Vishnu's fatal third step pushed Mahabali to the netherworld, but before banishing him to the underworld, Vishnu granted him a boon. Since the Emperor was devoted to his kingdom and his people, Mahabali was allowed to return once a year from exile. According to this legend, Onam is the celebration that marks the annual homecoming of King Mahabali from the underworld. It is the day when a grateful Kerala pays a glorious tribute to the memory of this benign king who gave his all for his subjects.